The aim of the Pacific Northwest Motorcycle Association (PNWMA) is to provide an off-road motorcycle racing series that is fun, flexible and affordable for both competitors and volunteer workers. The rules written herein are intended to provide a uniform set of rules and regulations for PNWMA Off-Road Series Events. Each competitor and participant in the series must understand off-road racing is dangerous and must assess the hazards involved and assume the risk of participation. with a conflict of interest are to excuse themselves from participating. event in the off-road series, and is in good standing with the PNWMA. decisions. All decisions are final. a protest will be considered. Levy will be returned if the protest is upheld. Any retained protest levies will be donated to the ISDE fund. found in violation of PNWMA rules at any event. this is to justify the actions of the Competition Committee. lower class without receiving approval from the PN Executive. volunteers. Sweep riders are to wear hi-visibility vests. includes generator, tables and pop up tents. between sign up and race scoring. competitors working the event for points. not be tallied by the PNWMA unless they do. Trail Ride Levy, according to Schedule 1, Section 4. 2.3) The entry fee will be set by each club. non-competitive classes to promote our sport i.e. Sportsman. 2.4.2) Sportsman is a non-speed event and is not to interfere with the main event. event. Host clubs may shorten the race course or time due to extreme conditions. that allows riders to stop without impeding other riders. be allowed to bypass the lineup to proceed through the check. requirements or coverage will be voided. competitors. Reposting time will be 5 minutes if the original half hour has lapsed. switches shall be made. One rider per motorcycle (except team events). checks to prevent competitors from course cutting. equivalent in place to prevent fires. rider to start his motorcycle if it is not in safe operating condition. 2.14) No tires with metal studs may be used. committee well in advance of the event. is safe and the marking is complete. tallied. The License is not retroactive, and is valid from date purchased only. class per season with no points transferring. scores up to the maximum counted for his/her class. earn a maximum of 2 work party points if they ride 50% of the series. riders shall determine the champ. A tie is a tie for the remainder. for bumping as determined by the Competition Committee. 3.2.8) Racers must apply to receive a Masters license. overall series. This is an approximate guide. 3.4) Point standings should be posted after every few events. class, to ensure sportsmanship. That competitor must move up one class. 3.6) The PNWMA Executive will arrange for the Awards Night. subject to immediate disqualification and suspension by the Host Club. intoxicant or drug, which can affect their mental or physical ability. 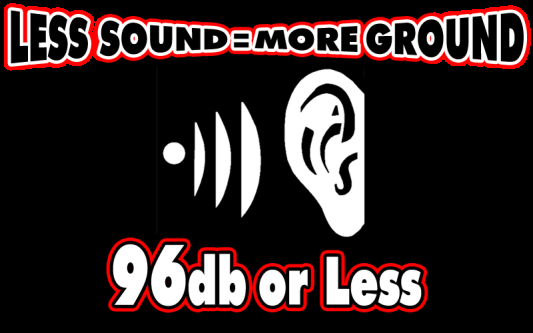 4.8.2) An exhaust system, which is able to meet a 96dB sound requirement. Competition Committee or the Host Club. 5.1) A club must provide contact information and payment of fees to the PNWMA. Then their event will be included in the PNWMA calendar as an off-road event. are to be submitted to the PNWMA no later than December 1st of this year. subject to any penalties incurred. the PNWMA Rules and Regulations and the PNWMA Arrowing Guidelines. must be a valid Competition License holder. be heard at the Competition Committee’s discretion. Competition Committee depending on the severity of the complaint. can vote to remove the Host Club from the Off-Road Series. decided by the Competition Committee. MUST stay between them. (IE: four arrows, tow on each tree on either side). 8.3) Machines must be shut off when refueling. 8.4) A finisher is a rider who crosses the finish line with the correct number of checks. 8.5) A protest fee of $50.00 will be required before a protest will be considered. 8.6) Absolutely NO smoking will be permitted in the fuelling area (pit lane). 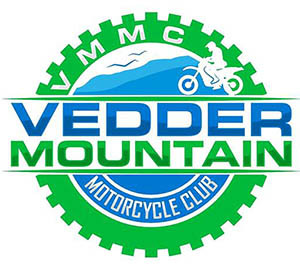 9.1 At the riders meeting the host club will relay the course conditions and cut off times. 9.1.1 In adverse conditions cut off time may need to be adjusted during the race. 9.3 All races will be dead engine start for all classes. and be considered a DNF. 9.5 All riders MUST turn race tag into scoring in the event of a DNF/DNS. completed (rule 2.1.1) and will begin to sweep once cut off has been called.